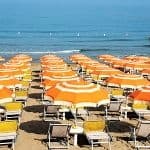 Relax far from the madding crowd in the Cilento National Park on the Neopolitan Riviera – we have negotiated no single supplement for stays at the charming four star Hotel Hermitage between 1 May and 31 October 2016. With only 35 rooms, it’s an intimate hotel with a welcoming atmosphere. 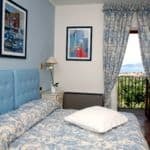 The pretty rooms here have wonderful views of the sea and San Marco di Castellabate, a UNESCO World Heritage site, and the entire hotel is surrounded by exquisite gardens. Take the hotel’s complimentary minibus or walk down to the private beach or relax by the pool by day as you anticipate a delicious dinner in the terraced restaurant. If you like to explore further afield, the Hotel Hermitage is surrounded by walking trails through the national park and delightful small towns and villages. 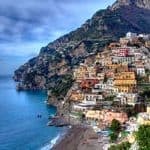 You can also opt for a day trip to Capri or Sorrento, for example. Find out more about the Hotel Hermitage.